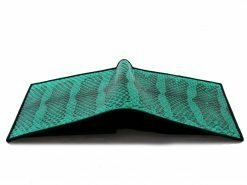 A shagreen stingray leather wallet in a striking blue color with a matching blue calf skin interior.These skins have been sanded back to highlight the natural patterns. 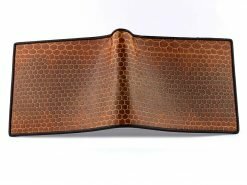 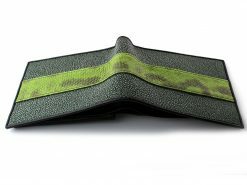 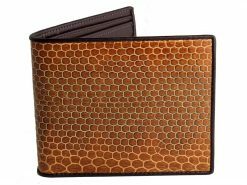 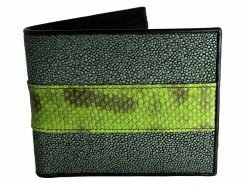 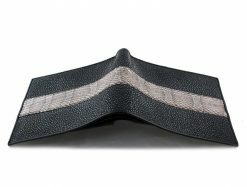 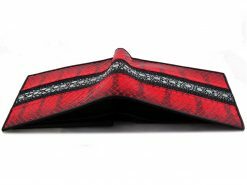 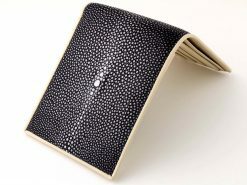 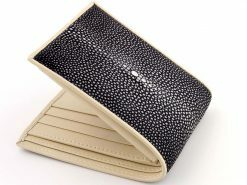 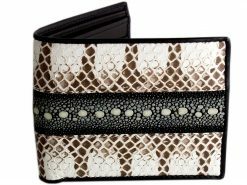 The resulting effect is a highly textured and unusual wallet that reflects the true wonder of stingray skin. 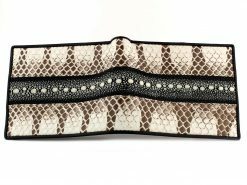 Just like that favorite pair of old faded jeans that you love to wear on lazy Sundays. 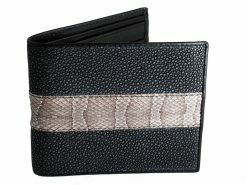 This wallet has an equal streak of homely nostalgia, perfect for those who like things relaxed and reliable.